** For stays of 7 nights or more we offer attractive special rates, from 30 days long-term rates on request ». All you need for breakfast in your kitchen: butter, marmelade, honey, cheese, coffee, tea, milk, sugar, etc. 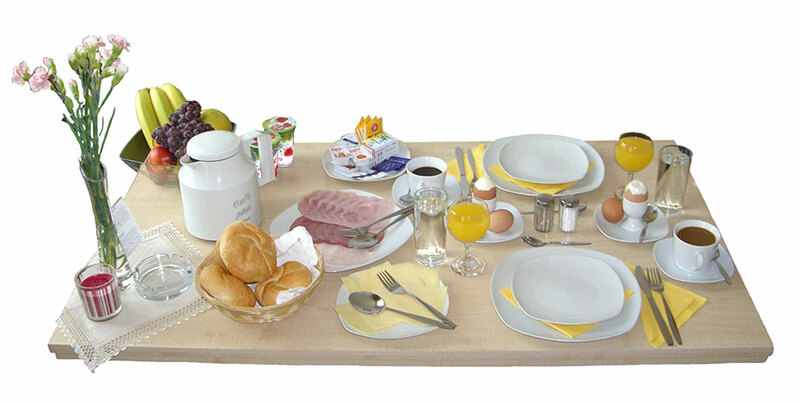 Extended breakfast (according to your wishes) served to your apartment. Children up tp 12 years -50% of the person tariff when accomodated inside the parents apartment.